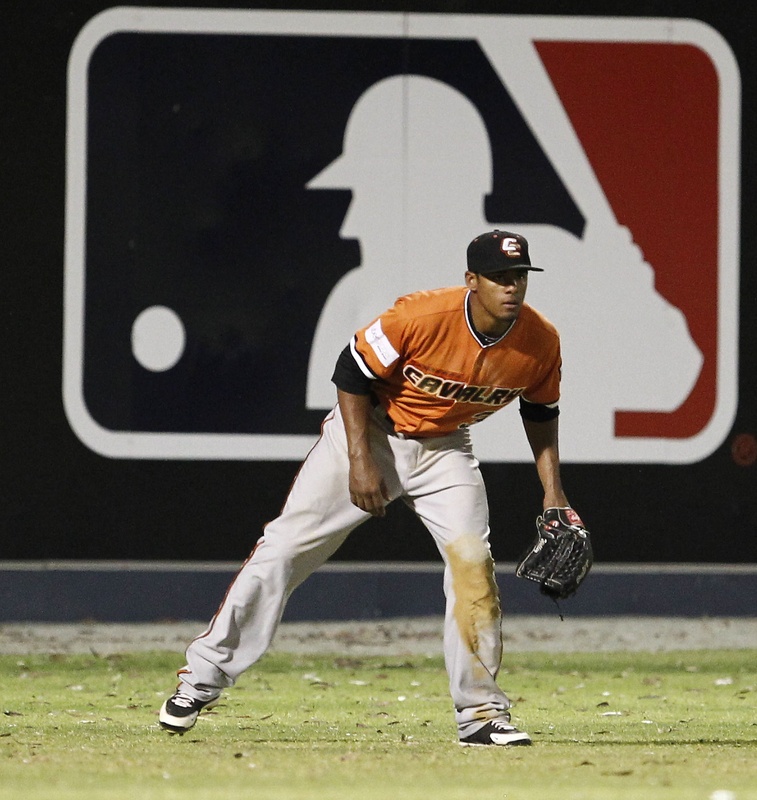 Citing Ken Griffey Jr. as his favorite MLB player growing up and Cincinnati Reds second baseman Brandon Phillips as his role model for having fun while playing pro ball, Canberra Cavalry’s outfielder Kenny Wilson is a mixed hybrid of both baseball idols. A Blue Jays 2nd round pick in the 2008 draft out of Tampa’s Sickles High School, Wilson was offered a full-ride to the University of Florida. Rather than going on to play college ball, Wilson opted to take the loonie loot offered by Toronto instead and accepted a $644,000 signing bonus on June 10, 2008. Blessed with blazing speed, the teen that dreamt of being the fastest law enforcement officer on the Florida Turnpike matured into the U.S.A. Sunshine State’s finest baseball player. Prior to joining the Cavs this year in the ABL, the switch-hitting 21-year-old completed a rehab assignment in the Dunedin Blue Jays Instructional League after missing the final four months of the 2011 season due to shoulder surgery. With four home runs and 122 stolen bases as a Toronto minor leaguer, he is known more for his speed than his power. 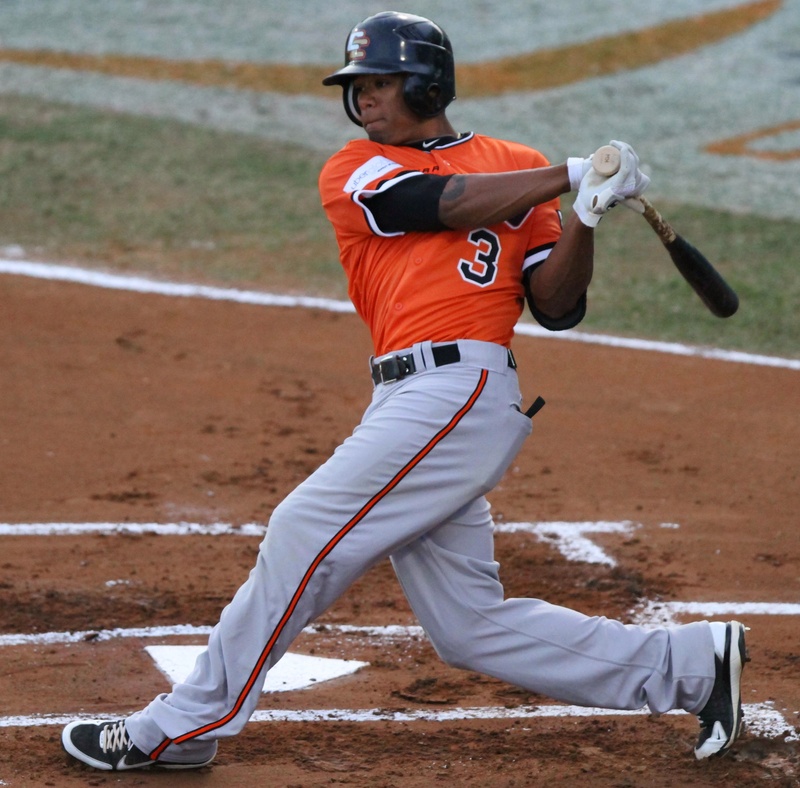 Currently tied for 4th in doubles (7) and 5th in stolen bases (6) in the ABL, Wilson undoubtedly will be looking for more opportunities to get in scoring position for Canberra in 2012. He has also come through in the clutch with 15 RBI, which ranks 7th best in the league. Watch for Kenny Wilson to come flying late for a photo finish. 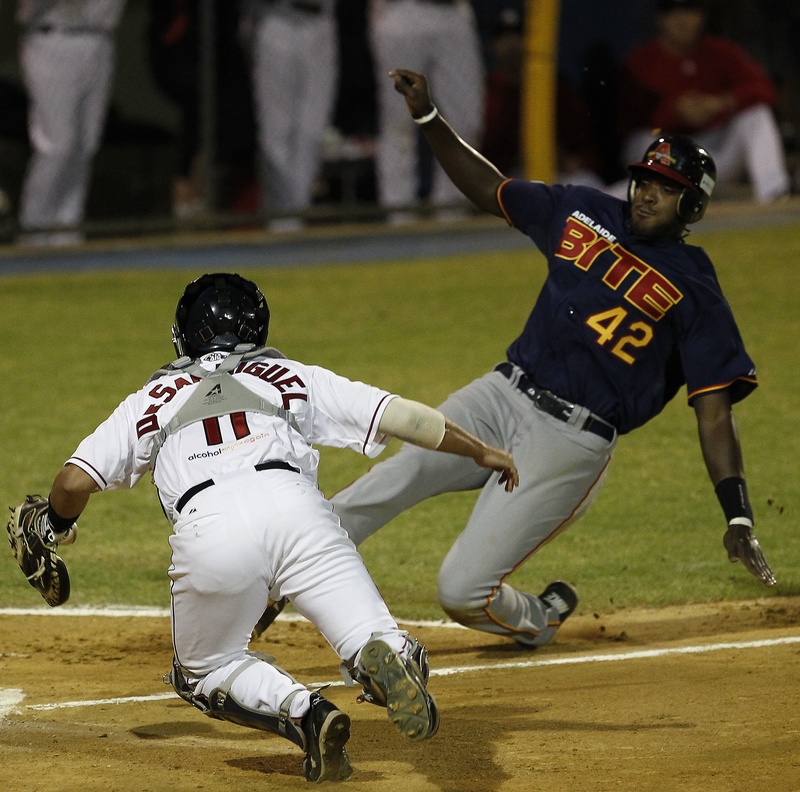 Named bonorable mention for the ABL Round Six Player of the Week batting award, Adelaide Bite’s first baseman and clean-up hitter Calvin Anderson came back strong to earn ABL Round Seven Player of the Week recognition for his .333 batting average (5-for-15, including two home runs and four RBI in the four-game series against Brisbane. 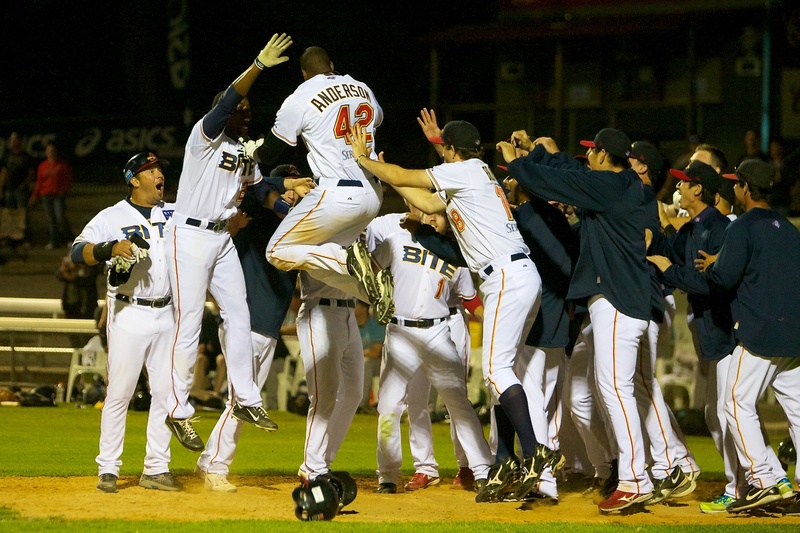 Currently 4th in home runs (6) and tied for 5th in RBI (17) in the ABL, Anderson made ABL history with his 12-game hitting streak. He had 19 hits in 52 at-bats during the offensive outburst (.365 BA). His hot streak has been instrumental in elevating the Bite, which sat near the cellar of the standings before Anderson propelled them into 2nd place. Calvin Anderson was selected in the 12th round of the 2008 draft by the Pittsburgh Pirates. The 24-year-old six-foot-seven Kirkland, Washington-born slugger was Goliath during the first half of the 2011 season at Single-A Advanced Bradenton blasting 13 homes runs in 225 plate appearances while batting .271, but the former Southern A & M College star sat out the second half with a knee injury. Anderson’s power numbers doubled as he hit 11 homers in 464 at-bats in 2010. Look for a break out 2012 from this MLB prospect and Big League muscle for Adelaide down the stretch. 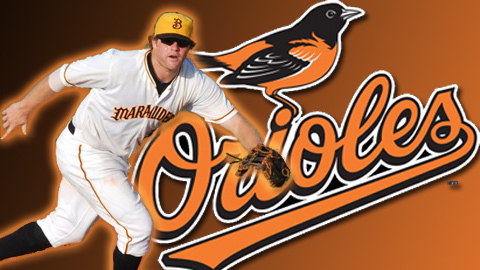 Drafted in the 11th round by the Pittsburgh Pirates out of Oklahoma University in 2009, Texas native Aaron Baker was also at Single-A Advanced Bradenton this past summer before being traded by the Pirates to Baltimore in exchange for MLB veteran Derek Lee. The 24-year-old Baker was hitting .282 with 21 doubles, 15 home runs and 73 RBI at the time of the trade. 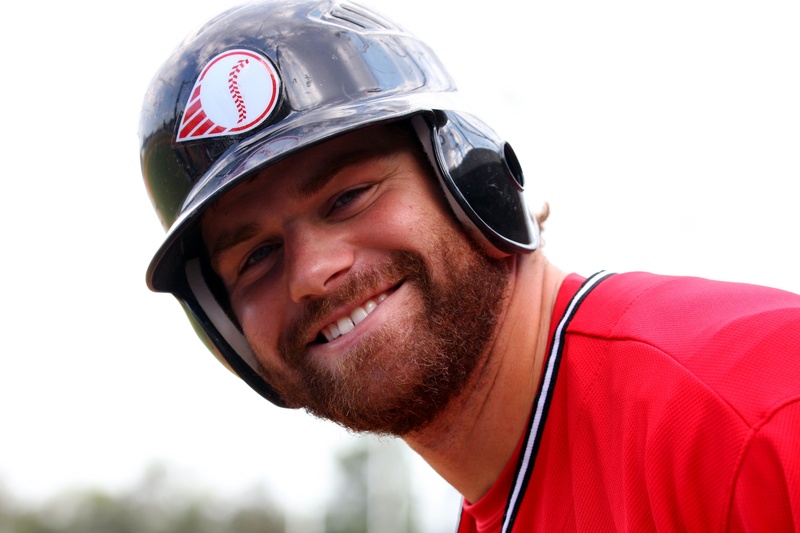 The former UO catcher and first baseman was named a 2011 Florida State League All-Star. Trent Baker has been on a 2011 MLB roller coaster after being down-and-out when released by the Cleveland Indians in March and then being high-in-the-sky while seeking redemption when signed by the Atlanta Braves in July. Originally signed as an outfielder by the Tribe in 2008, the 21-year-old Aussie will report to 2012 Braves Spring Training as a left-handed throwing hurler. 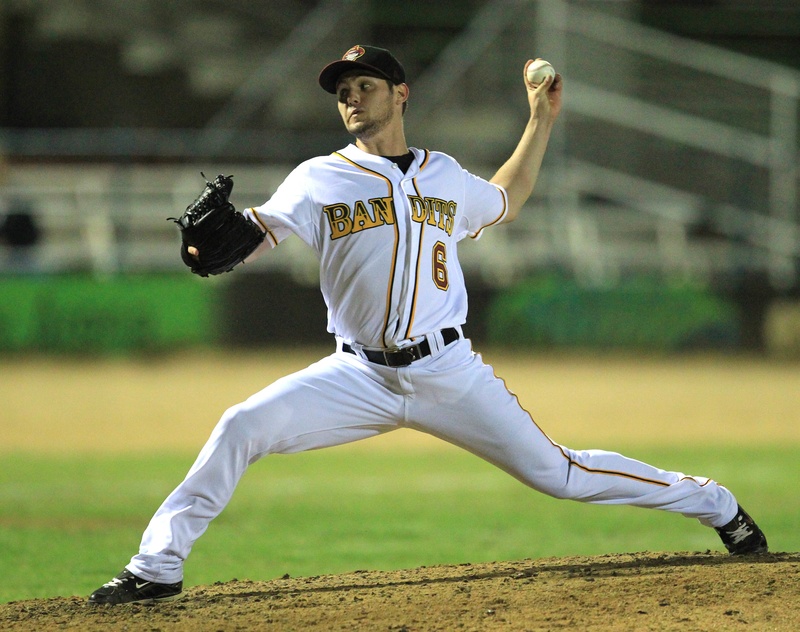 In 10 innings pitched for the Brisbane Bandits, Baker is 2-1 and has struck out 11. Beware as this outsider will make a run for the money at the wire. #5 Todd Van Steensel (Ryan Schembri/SMP Media) splits his time blogging for the Clubhouse Chronicles, tweeting on twitter @toddvs35 and playing MLB 2K12. Todd Van Steensel experienced the same euphoric yo-yo effect after being signed by the Philadelphia Phillies at the 2008 U18 Championships in Perth only to be released in March 2010. As the youngest member on Team Australia, the 20-year-old Sydney socialite trained diligently at the Australian MLB Academy, where he signed with the Minnesota Twins. The Blue Sox pitcher should not be over-looked as it would not be surprising to see him and his American teammates in the 2012 ABL Winner’s Circle. Selected by the Toronto Blue Jays in the 2002 draft out of Tennessee Tech, Bubbie Buzachero has also played for the Houston Astros organization in ten minor league seasons. The 30-year-old pitcher compiled a 38-29 record, a 3.74 ERA, and 70 saves in 392 games. 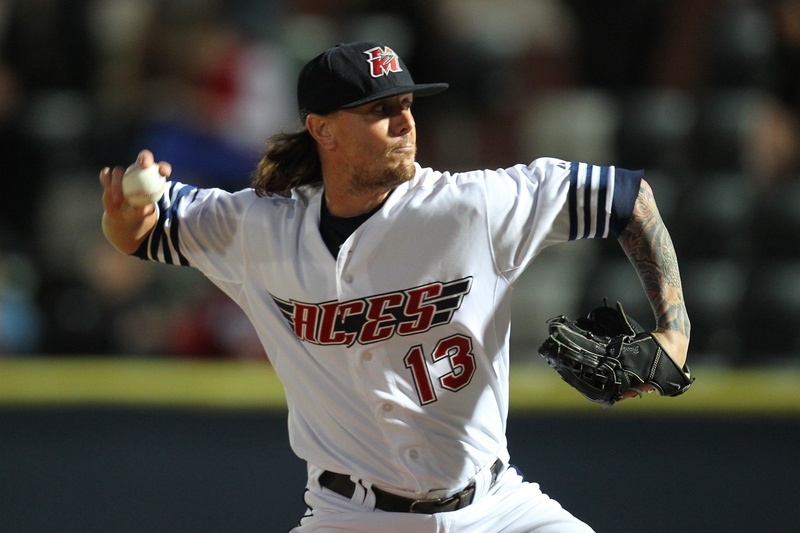 Playing for the ALPB Long Island Ducks in 2011, he made 57 appearances and posted a 8-2 record with a 2.42 ERA. Bubbie Buzachero–Melbourne Ace and the longest shot in the field–was born to perform and to deliver nothing short of his best effort. Next Article #48 is for Sandoval, Hunter, Hirsh & MLBblogger!!!! Wishing everyone the happiest of New Years in 2012. Thanks for your support every step of the way!